I am a 1975 alumnus and former member of the alumni board. I just received the most recent UR Magazine and read with great interest the Barry Greene piece. It was powerful and is arguably one of the most important and well-done articles ever included in this magazine. Having such an open and revealing conversation about the journey and challenges that Mr. Greene faced as UR’s first black [residential] student was enlightening and an important milestone for the school. Being able to have genuine conversations about difficult and at times divisive topics reflects well on the moral growth of the University. Drs. Ayers and Crutcher have played a large part in enabling this to happen. I overlapped Mr. Greene by one year and never met him, but wish I had. What a thoughtful and decent man he is. As a white male, I never had to encounter the daily and humiliating difficulties that he endured with such grace. I applaud all of you for producing and sharing this important article. And I appreciate Mr. Greene’s willingness to share his life story. He helped make UR a better place and is eternally woven into its fabric. Just read the interview with Mr. Greene conducted by President Crutcher in the Autumn issue of U of R Magazine. I read it out loud to my wife. She is legally blind. I could hardly get through the piece without bawling. It moved me very much. I hope all members of the U of R community have the chance to read the piece. Dr. Modlin, at my graduation, took the time to have a photo taken of my family and me in August of 1958. I met Dr. Crutcher and his wife recently at an alumni affair in Red Bank, New Jersey. I am very proud of my school, and I commend you for a great magazine. Keep up the kind of articles that make a difference in our lives! Thank you so much for the far-reaching and revealing interview with the graceful Mr. Greene. I was riveted by his experiences back in the ’60s, and I’m glad that you all are shedding light on the diversity issue. As a Northerner, I was pretty shocked myself when I arrived at Richmond in 1978 to find a chapter of the Daughters of the Confederacy in the yearbook, a mascot which was still sometimes pictured with a confederate uniform, stars-and-bars flags in a lot of Richmond College rooms and, if I remember correctly, somewhere around six black female students. Proud to see as an alum that so much progress has been made, and I hope to see more in the future. This was a great issue. Congratulations. Dear Mr. Greene, I had no idea that U of R had African-American students so soon after I graduated in 1965. I am delighted to know that. I was a student waitress at Westhmapton College. They had a group of Virginia Union students as dishwashers. My classmate tutored one of the male VA Union students in French. When they were discovered, she was chewed out, and the dishwasher was fired. Boy, they had us between a rock and a hard place. I loved your interview in the UR Magazine. My granddaughter, who was raised in Richmond, began her studies at UR in 2016. I had noticed at her high school graduation that the same homogeneity among her classmates was still apparent. 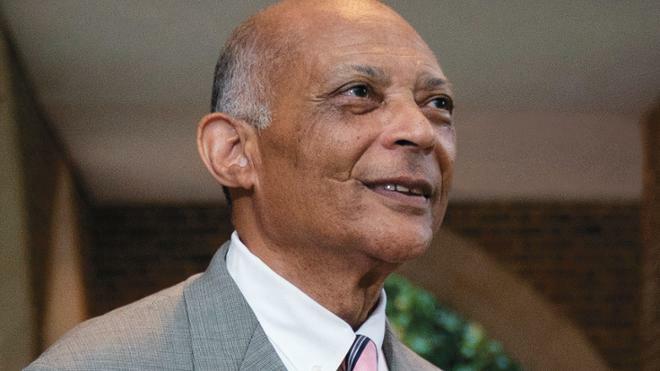 However, I had also realized, through the University of Richmond Magazine, that the university itself had come a very long way and was a community that encouraged diversity. When I attended the “meet and greet” for Dr. Crutcher, I spoke to him about my appreciation for this situation, and I quoted my son’s 1987 remark to him. I’m so pleased that my granddaughter has the opportunity to experience the world through UR. I loved the editorial about Moina Michael and the poppies, as well as the article, words, and photographs of Haitians by Jensen Sutta. My little country church sends a nurse, Dena Proctor, to Haiti every year to work for a week as a volunteer. I will take the UR Magazine to the fundraising dinner we have coming this month. Her father, David Hudgins, is an alumnus of UR. I also enjoyed the interview with David Sanford and also President Crutcher’s interview with Barry Greene. 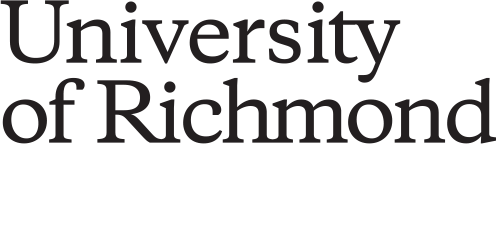 If you want alumni to read our UR Magazine, you’re going to have to use larger print.